Duncan Anderson talks about industry challenges, changing trader behavior and how he sees the industry. Finance Magnates sat down with Duncan Anderson, the CEO of Tickmill UK, to speak about the challenges he is facing, the state of the online trading industry and to hear his take on regulations, trading and more. I have always been interested in the dynamics of the markets and worked on many of the old futures exchanges, including the LME, Liffe and the CME, before becoming a derivative equity dealer in London. Since then, I have helped set up two further operations in the CFD environment before joining Tickmill. 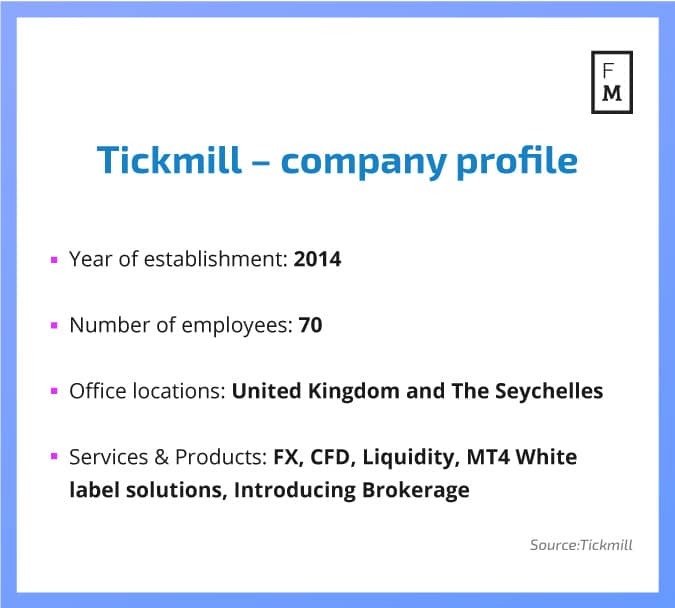 Tickmill UK went live in November 2016 after gaining FCA authorisation and my role is to oversee the division’s operations as the Chief Executive Officer. With strongly regulated entities in Europe and the Seychelles, along with established operations in Asia and the MENA region, we now have a distinctly global outlook for our business. We are rapidly increasing our product offering in CFDs and looking to add other asset classes for traders to use. We want traders to be able to access multiple instruments under one brand, so that they can operate ‘best fit’ strategies that suit their trading style. What do you think sets your firm apart from the competition? Tickmill has a really strong culture that is built around trust and extensive industry experience. Everyone is able to share ideas and group problem solving is fundamentally empowering; our strategic planning is well thought out and decision making is decisive and geared to a long-term vision. This ultimately translates to better quality products and services that we can offer our clients. I envisage some sort of consolidation of the industry, fewer new entrants, possibly higher capital requirements for authorised firms and more safeguards applied to retail traders. This may, however, have the undesired effect of driving clients to less regulated jurisdictions. I would like to see stronger lobbying groups, both nationally and globally. What new fields and opportunities do you see as growth potential in the market? Tickmill has a very strong IB (Introducing Broker) network and it is particularly pleasing to see such loyalty from our IBs. This is a direct result of management’s continued investment in our infrastructure, technology and people. We anticipate significant growth in this area. Traders in general are becoming increasingly sophisticated, while FinTech is opening avenues for them to build more powerful trading strategies, which can widen their exposure to a whole range of new asset classes to use in conjunction with the existing products Tickmill offers. Does the equity trading background of CEO Anderson mean that Tickmill is also going to expand into offering equities? Tickmill is constantly expanding its product offering and is always on the lookout for new developments. All new additions will be announced in due time. Congratulations to the Tickmill team for its growth and evolution.